Crockfords Live Casino - Dedicated tables for VIP players. Crockfords, located in London’s prestigious Mayfair district is one of the worlds most exclusive land based casinos. 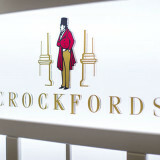 It’s been in existence since 1828 when it was established by William Crockford and is now owned by the Genting Group. 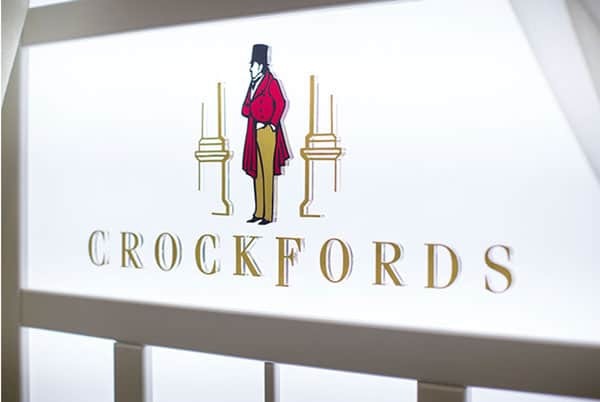 You’ve probably heard of Crockfords recently due to the very high profile court case when Phil Ivey was alleged to have cheated the casino when playing Baccarat. 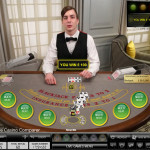 The court found in favour of the casino and so Phil wasn’t able to collect on the £7.7 Million pounds that he won. 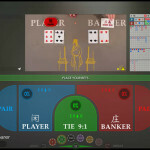 Crocksfords have had a members only online live casino for a few years, but it’s been restricted to club members only. 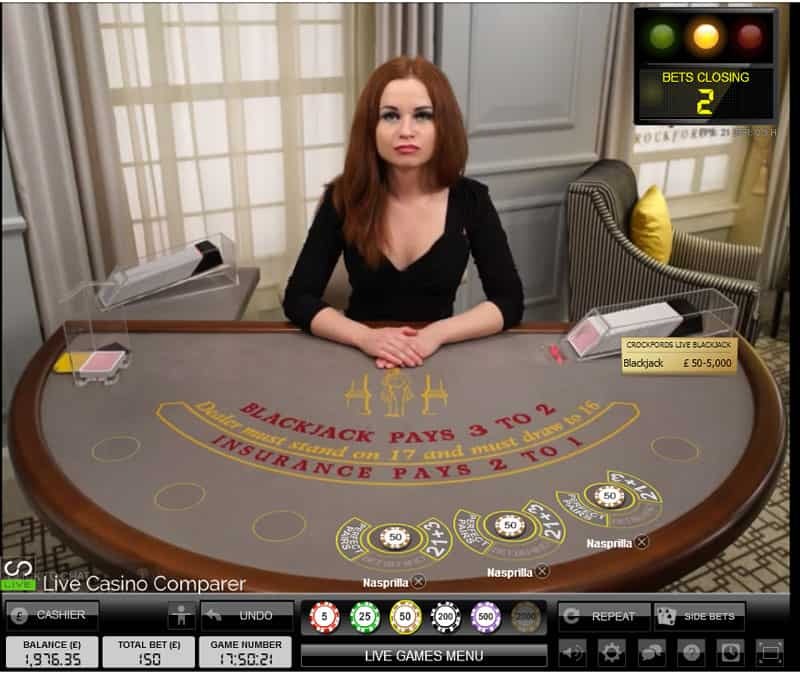 However in early 2016 Genting invested heavily in a new online live casino from Evolution Gaming that included two dedicated areas for their players. 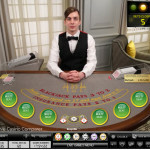 A set of Genting branded tables and a small studio built with Crockfords styling with dedicated Blackjack, Roulette and Baccarat tables for Crockfords and Genting VIP players. 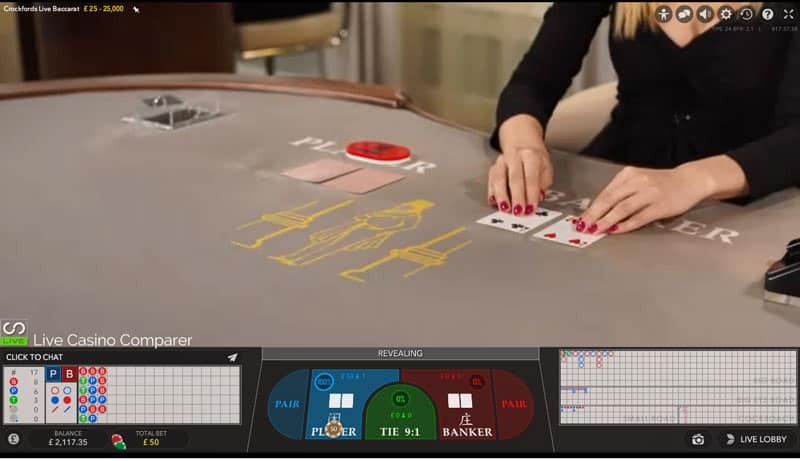 You gain access to the Crockfords tables through the Genting Live Casino website with access controlled by the customer service agents. The area is reserved for VIP players so you have to have reached VIP status before you can gain access. 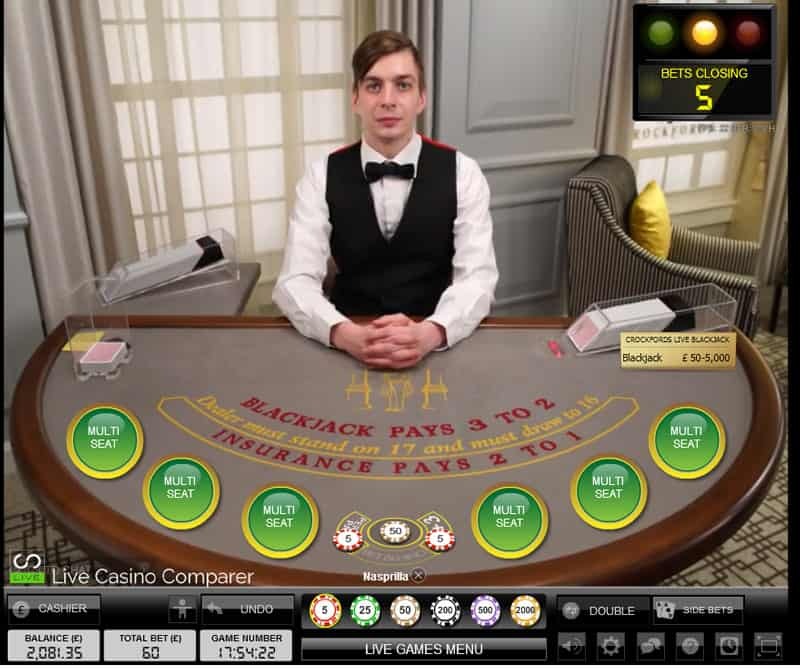 The tables are open between 5pm and 5am GMT, but if you want a table for private use outside of that time it can be requested through Customer Support. 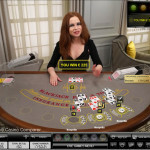 The game is played with 8 decks under Vegas rules, where the dealer takes two cards. 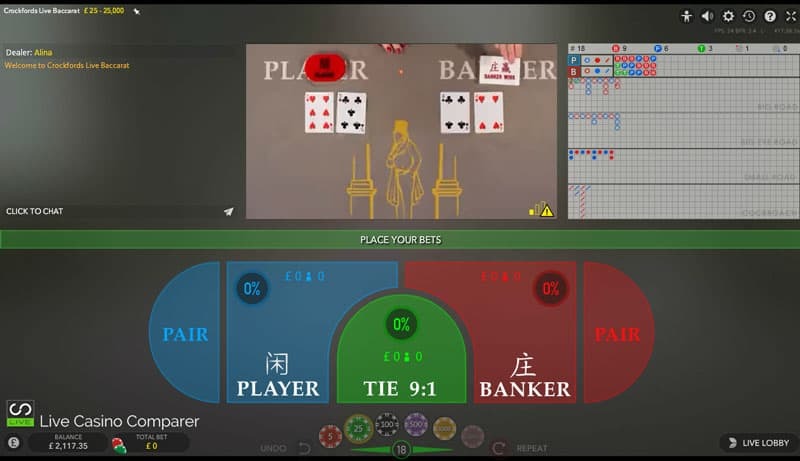 You can double on anything and split like pairs. 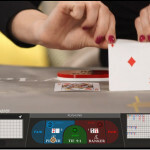 Split Aces only get one card. 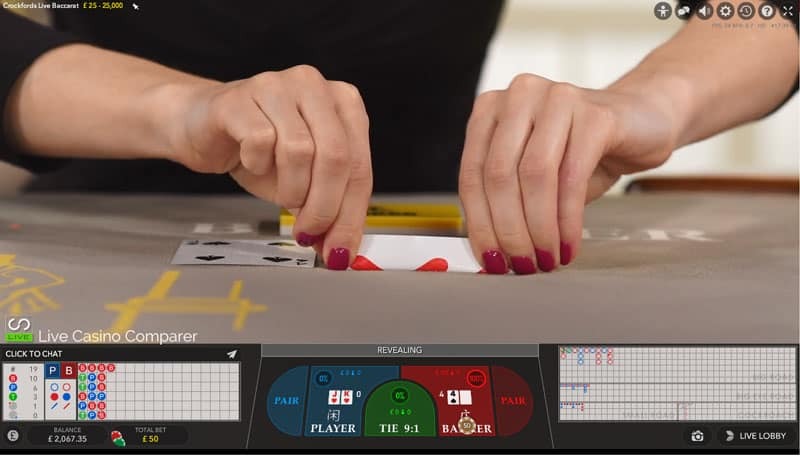 Side bets of Pairs and 21+3 can be played along side the main hand. 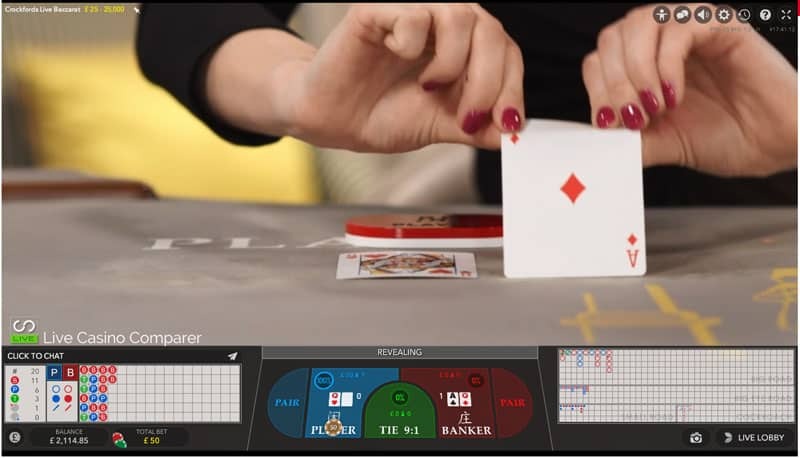 Stakes range from £50 to £5000 a hand. 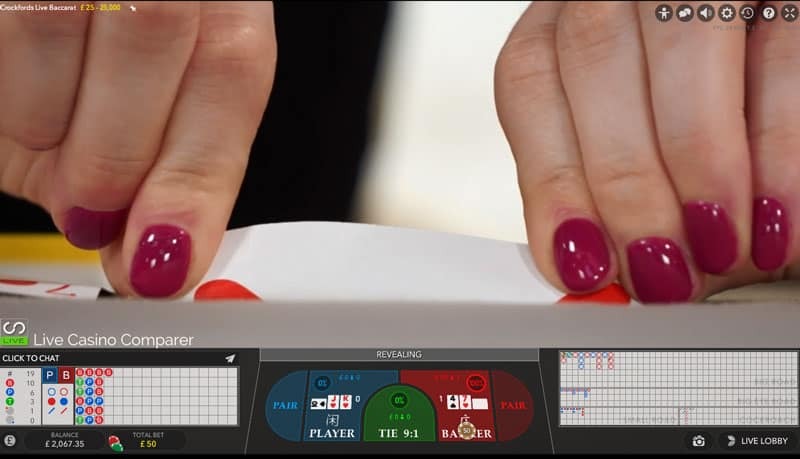 Crockfords live casino Baccarat has the new Squeeze facility, where the dealer squeezes the cards to a closeup camera. 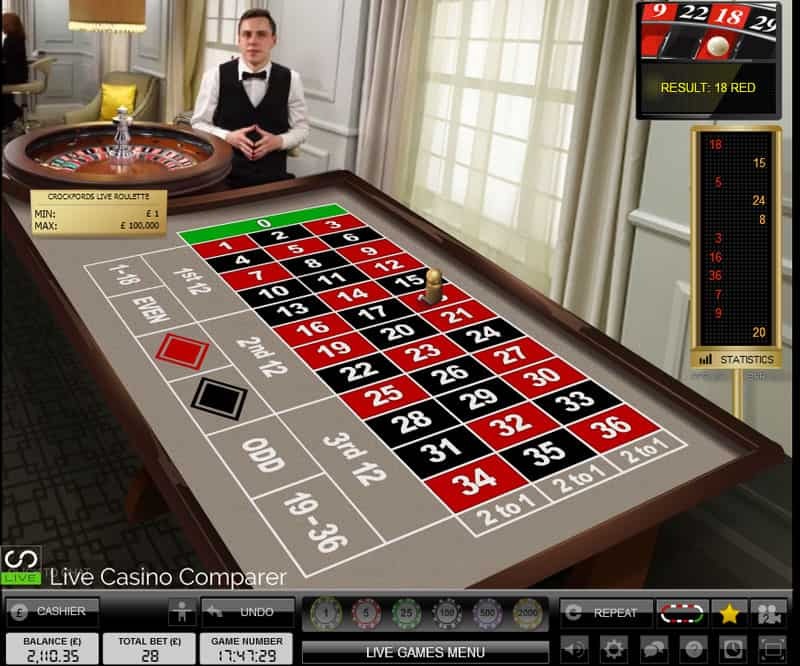 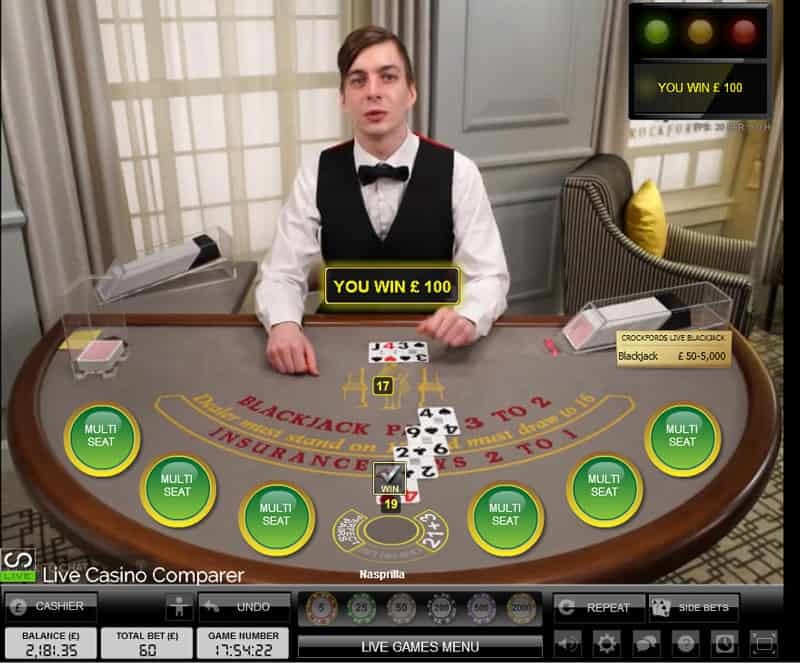 The game is streamed using the new user interface, which give a wide screen view and a more user friendly way of displaying all of the various playing options. 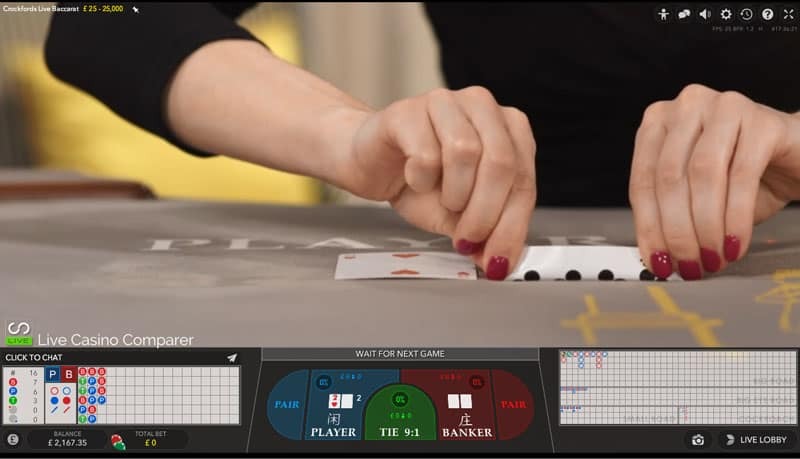 A full set of Baccarat roadmaps are displayed across the bottom of the screen. 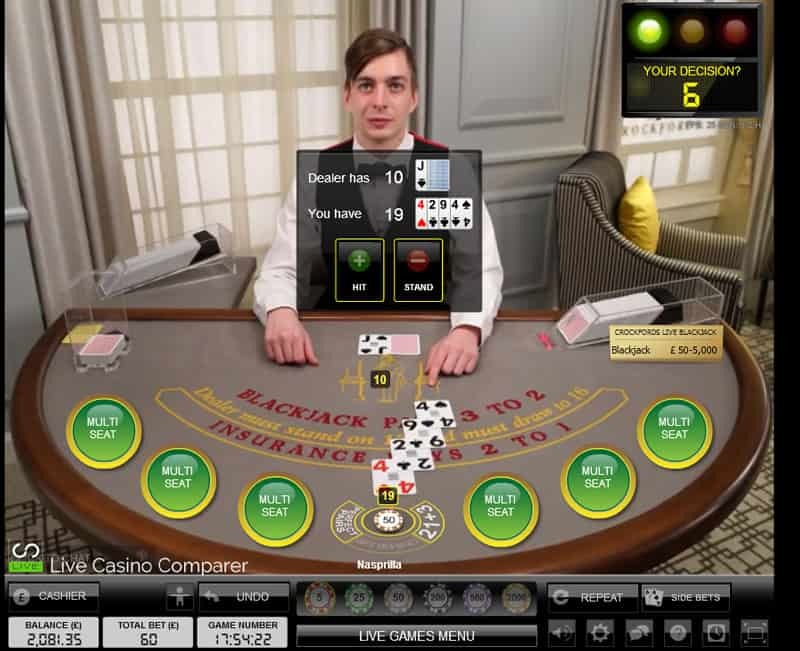 Stakes range from £25 to £25,000 a hand. 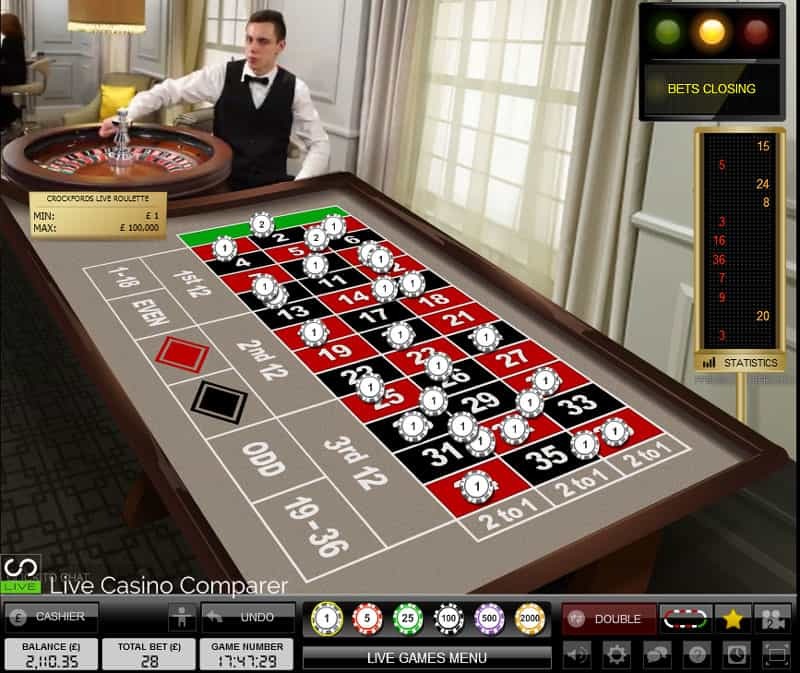 This is the classic European Roulette from Evolution. 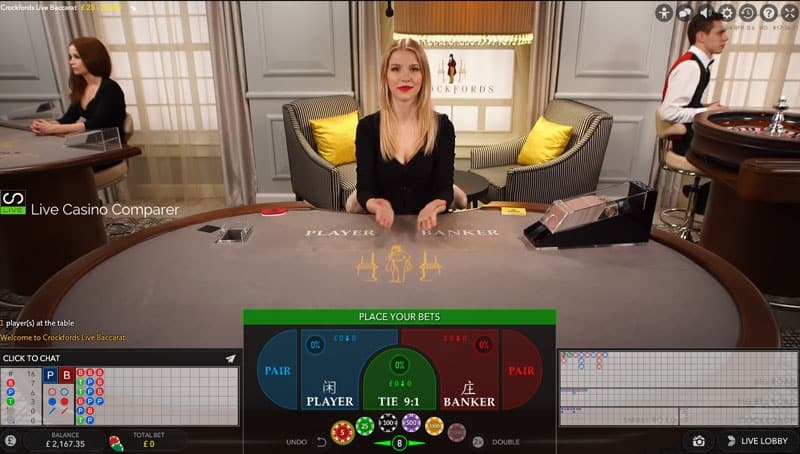 Crockfords have not gone for the multi camera Immersive lite table yet, but I bet it’s on it’s way at some point. 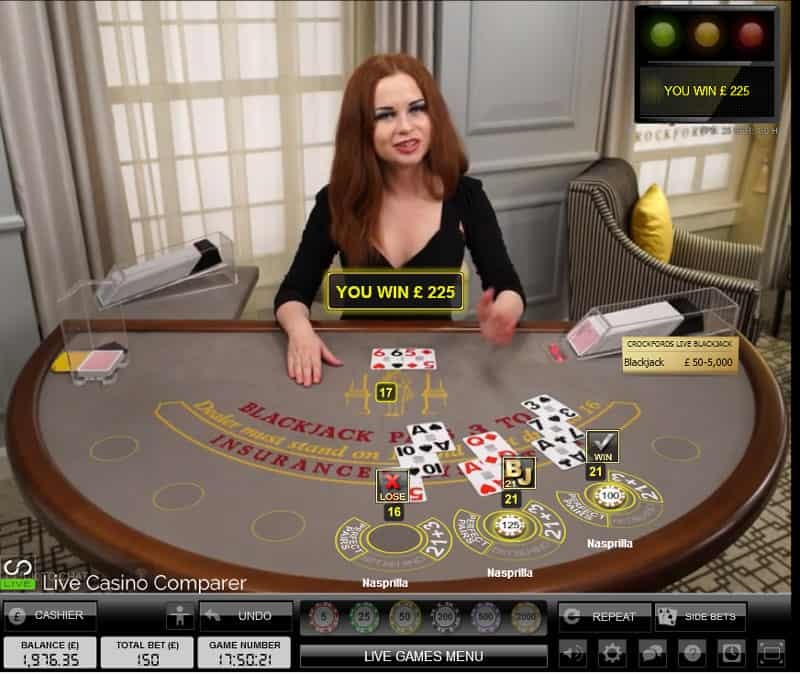 Stakes range from £1 – £100,000. 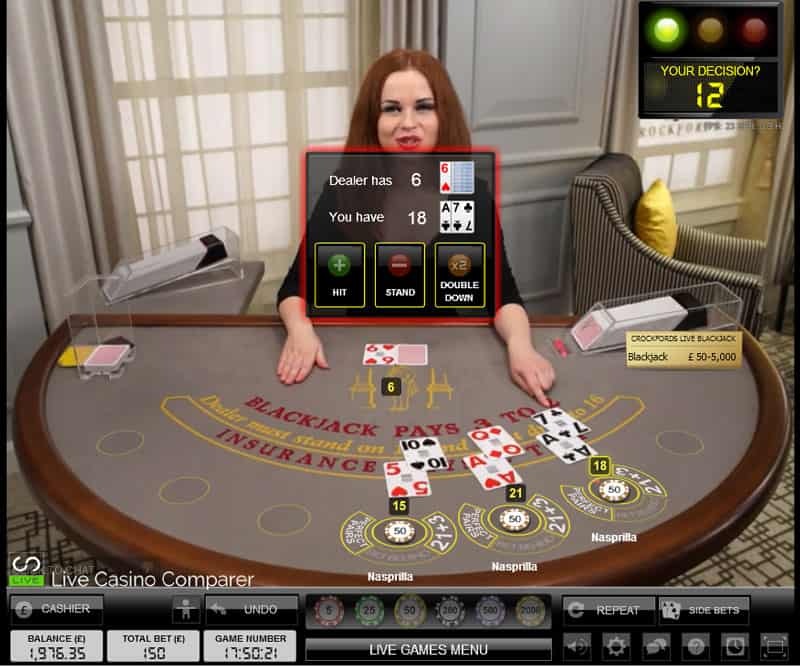 High Rollers will love it here as you have the stakes and the privacy to play your own game. 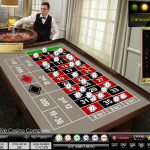 Click here to be taken directly to the Genting live casino.